Straight from IDW themselves, we have word that the new IDW Transformers #1 is getting a second run! 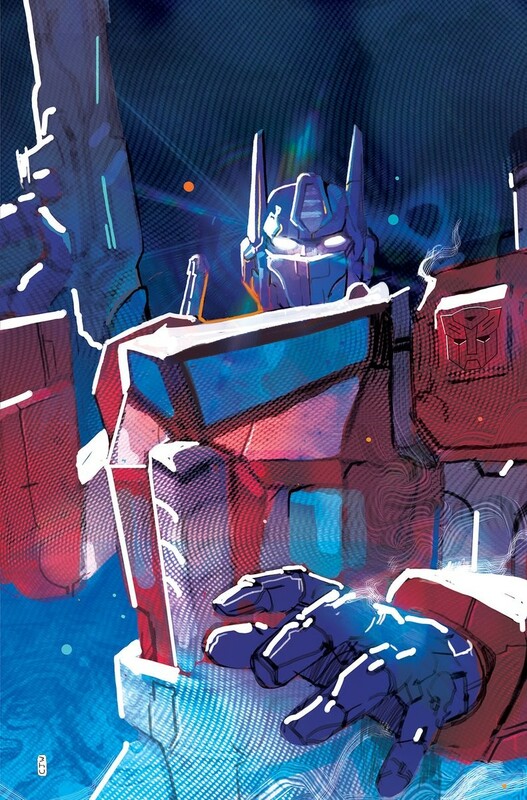 The new Transformers continuity has reached issue #3 as of this week, and apparently it's first issue was a strong one, as we are getting a re-print of the pilot issue. The re-print is due for release on June 5, not too long after issue #6 is expected to be released. You can check out the press release below, and let us know what you think in the comments section below! SAN DIEGO, CA (April 18, 2019) – IDW Publishing announces today that Transformers #1, the start of a bold new era of Transformers comic book continuity, has sold out at the distributor level. Due to its broad appeal, the swift sales of Transformers #1 has prompted a new printing of the issue, slated for release on June 5th. "The response to the new Transformers series has been amazing," says editor David Mariotte. 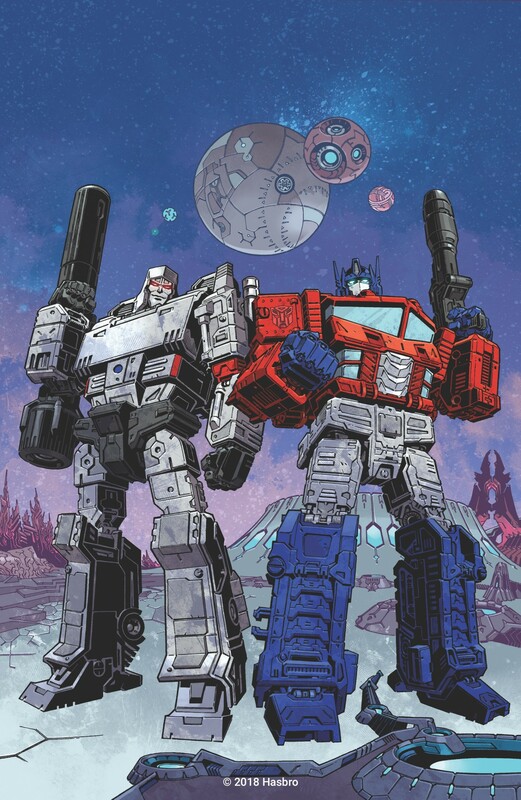 "For a franchise with such a rich history — not just here, but in so many mediums — the first issue was something we knew we had to get right and it's incredibly gratifying to me, the incredible creative team, the fine folks at Hasbro, and probably to Rubble and Bumblebee that so many people have jumped on-board. We have a lot more coming!" Written by Brian Ruckley, author of the Godless World fantasy trilogy, and illustrated by Angel Hernandez and Cachét Whitman, the new Transformers series explores a critical time in Cybertron’s history: a world at peace, shaken by the first act of violence in generations. As a murder mystery unfolds, young Rubble and his mentor Bumblebee must come to grips with swirling conspiracies shattering the harmony of the society they hold so dear. This bold new era of Transformers comics builds upon IDW Publishing’s fourteen years of storytelling with this beloved Hasbro brand. Delicately balancing action with startlingly personal drama, IDW’s Transformers comics have earned a fiercely loyal fanbase and much critical acclaim. The fresh new take of the bi-weekly Transformers series is designed to appeal to longtime fans and curious newcomers alike. For information on how to secure copies of the Transformers #1 second printing (MAR198350) and subsequent issues, please contact your local comic shop or visit www.comicshoplocator.com to find a store near you. 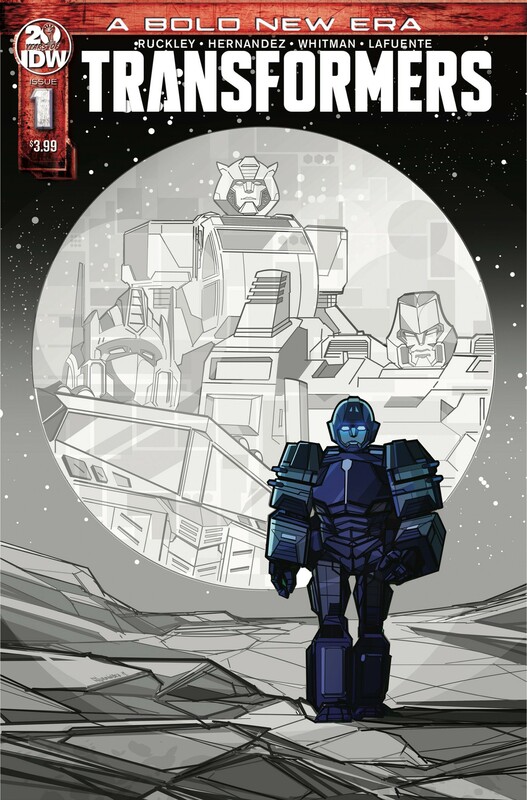 Thanks to Jeffrey Veregge on Twitter, have a new cover to share with you today for the new IDW Transformers series! The Veregge cover is a continuation of the Travel Poster series, and this time features the Winged Moon and the Tether that featured in Transformers #2. 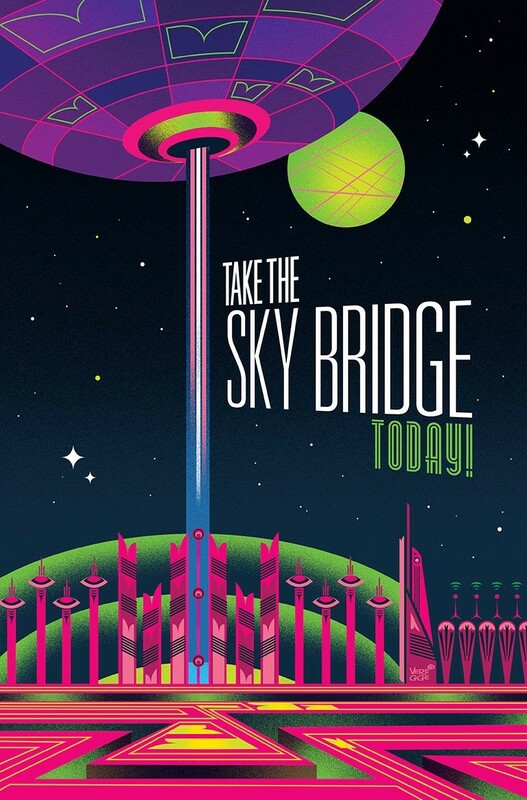 The cover proudly asked the reader to "Take the Sky Bridge Today!" 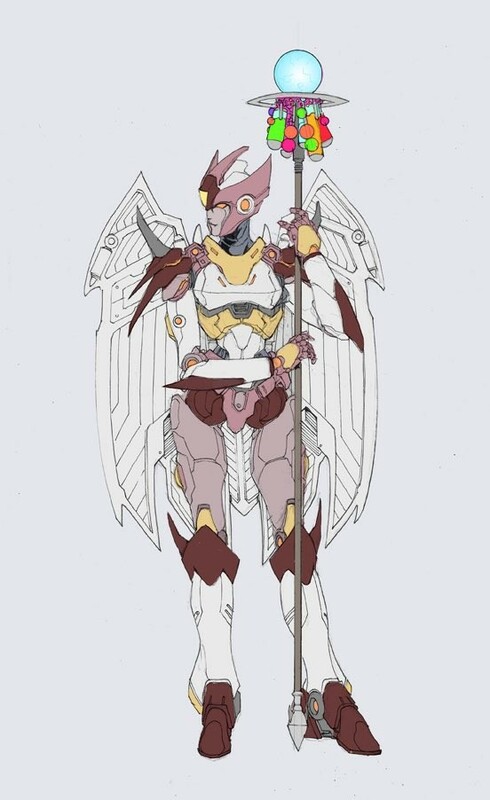 and features an interesting color palette for Cybertron and its satellite. This cover is for Issue #6 of the series, which will be due out in late May of this year. Check out the cover below, and let us know what you think in the comments section below! Maybe a lot little less pop culture referencing and more focus on an engaging narrative? It's not really an accomplishment for a first issue to a popular series to sell out. Get beyond the first arc with results like that and you're noteworthy. Or they just didn't print enough copies. 5,469 pages were recently viewed by 891 unique visitors. This page was viewed 1 times on Saturday, April 20th 2019 9:43am CDT. © 2019 Seibertron, Inc. DBA Seibertron.com. All Rights Reserved. Established June 2000. Seibertron.com is owned by Ryan Yzquierdo.